Thirteen people were left injured this afternoon, one critically, when a light motor vehicle and taxi collided at the Hendrik Potgieter and Christiaan De Wet Road intersection in Little Falls, west of Johannesburg. stop against a refuse bin. 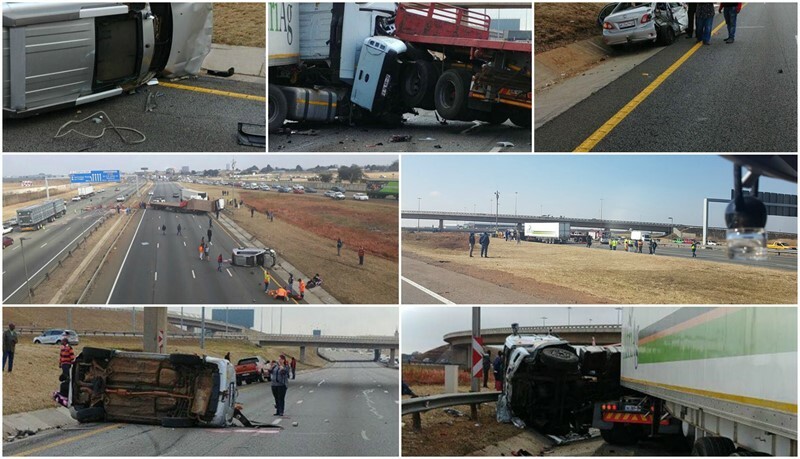 Upon closer inspection, paramedics found the taxi driver lying trapped inside his vehicle in a critical condition. ER24 Rescue medics had to utilized various rescue tools to free the man from the vehicle. Once freed, the man was treated for his injuries and provided with advanced life support interventions. Twelve other patients were assessed on the scene, their injuries ranging from minor to moderate. The patients were treated for their injuries and were thereafter transported to various hospitals for further treatment.